Renault’s promising low cost hatchback Kwid has been spied in a dealer yard indication the launch of the car is around the corner. Mr. Carlos Ghosn, the top brass of Renault worldwide had announced Kwid’s launched in India by this festive season. 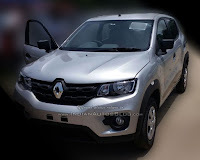 Renault Kwid with its tough design appeal to the young car buyers and coupled with more space and a reasonable price, it promises to change the way people thing about buying a first car. 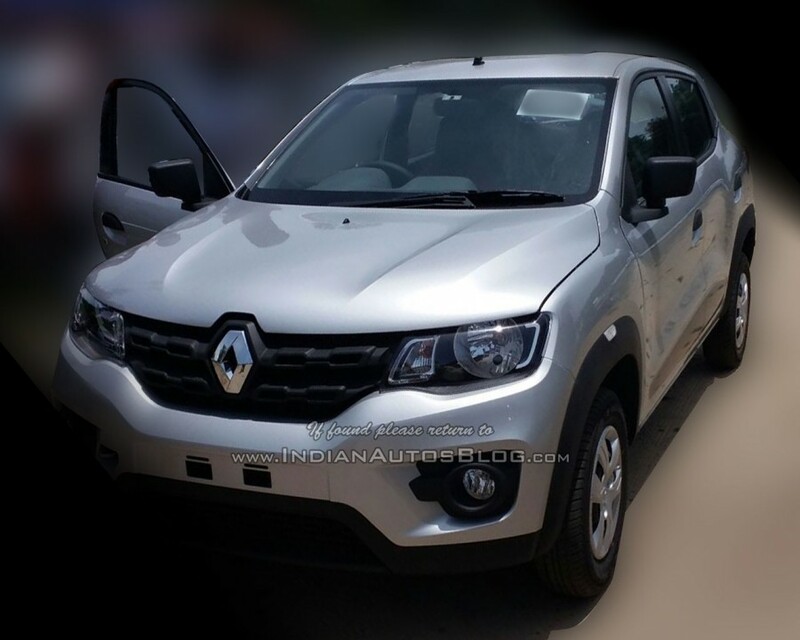 Features ahead of its segment will be an addition to Kwid compared to its competitors. Renault Kwid will be powered by an 800 cc 3 cylinder petrol engine which the company claims to be simple in technology and delivers unmatched fuel efficiency in the segment. A bigger 1L engine is expected next year but a diesel option has been completely ruled out considering the cost of its development.